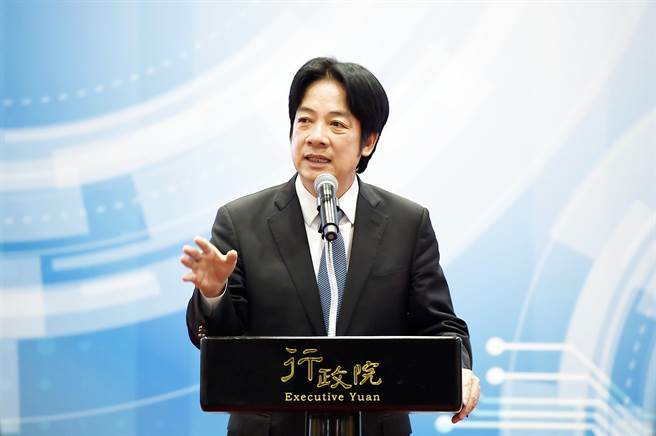 Premier Lai Ching-te on Thursday convened the 15th meeting of the Board of Science and Technology, during which the Executive Yuan approved a 5.12 percent increase in the government’s regular and special budgets for science and technology to NT$116.3 billion (US$3.8 billion) for 2019. Considering the importance of artificial intelligence and aerospace technology, another NT$2.79 billion (US$91.3 million) will be added to bring the total to NT$119.09 billion (US$3.9 billion), or an increase of 7.65 percent. During the meeting, Premier Lai also received a briefing from the Office of Science and Technology on the progress of major industrial innovation programs and plans for allocating the 2019 science and technology budget. He indicated that the special budget for science and technology projects under the second term (2019-2020) of the Forward-looking Infrastructure Development Program, approved at NT$37.214 billion (US$1.2 billion), will be invested in digital infrastructure, green energy infrastructure and talent cultivation. These funds are expected to boost momentum in the growth of Taiwan’s scientific and technological capabilities. The 2019 science and technology plan contains 10 important policy initiatives carried over from 2018, the premier said. They are the Asia Silicon Valley Development Plan, intelligent machinery, green energy, biomedicine, national defense, new agriculture, the circular economy, the digital economy, cultural technology innovation, and forward-looking integrated circuit design and semiconductor technology. As for the issue raised by board members of how the development of the digital economy might affect governance, society and the economy of Taiwan, Premier Lai instructed the National Development Council to work with TaiwanThinkTank to set up a special program focused on the question, or appoint experts and academics to develop a responsive policy. The Office of Science and Technology indicated that the government is actively working to stimulate the “five plus two” innovative industries plan, including by launching the Digital Nation and Innovative Economic Development Program to speed Taiwan’s emergence as a full-fledged smart tech nation. With such international tech giants as Microsoft, Google and Amazon having set up research centers in Taiwan, the Asia Silicon Valley project continues to push innovative R&D for the internet of things. In the area of biomedicine, the Legislative Yuan has passed amendments to the Act for the Development of the Biotech and New Pharmaceuticals Industry, and partial amendments to the Pharmaceutical Affairs Act. The Legislature is currently reviewing a special bill for medical instruments.